This morning I looked at lifehacker.com as I do most mornings, and found a video episode of “How I Work,” which I particularly enjoyed. Scott Wiener operates scottspizzatours.com in NYC, and began his video with a reminiscence of how, as a boy, he’d bought his first lunch, a slice of pizza and a Coke, for a dollar. I smiled to myself. BFD. I remember walking home from Wantagh High School with my buddy Ronnie and stopping off for a slice and a Coke on the way: 25 cents. While all this reminiscing was going on, I happened to be in Berkeley picking up color photocopies at Krishna Copy. 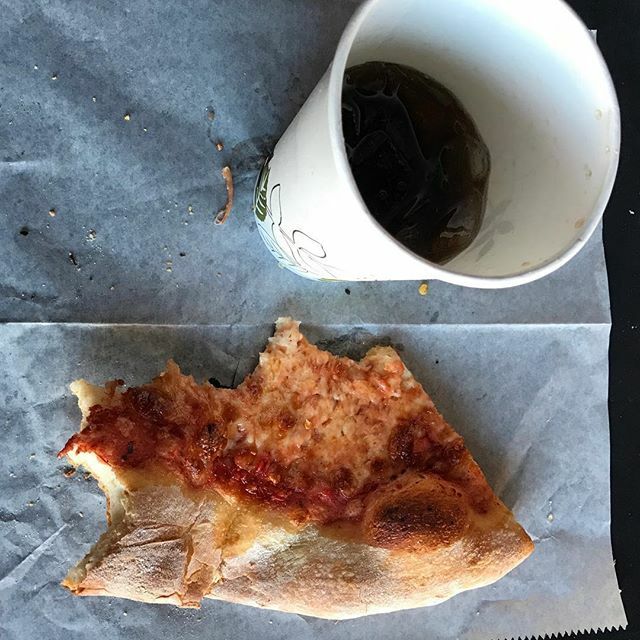 I hadn’t had a slice and a Coke for years, and here I was, very close to Arinell’s Pizza, the closest thing to NY pizza I’d ever found in California. I walked in, placed my order, and paid. Five bucks. The slice of pizza was okay, but it didn’t even come close to the pizza of my youth. Frankly, neither did the Coke. Really, how could they? Dr. Robert Schoen is a writer, musician, and composer. His book, On God’s Radar, follows his 2017-18 walk from coast-to-coast across the United States. He is also the co-author (with Catherine deCuir) of the novel The Rabbi Finds Her Way. Schoen has composed music for a variety of ensembles and settings, and has served as Composer-in-Residence at Temple Sinai in Oakland, California, where Cantor Ilene Keys and the temple choir under the direction of George A. Emblom, premiered his original jazz-oriented Friday night Sabbath service, Bossa Shabbat. Robert Schoen is a member of ASCAP and is the recipient of Getty Foundation and ASCAP awards for music composition. He and his wife, Sharon Chabon, live in Oakland, California.